Discover the fullness of life in Christ.We grow in Christ as we seek him together. Jesus' own pattern of disciple-making was to be intimately involved with others and allow life to rub against life. 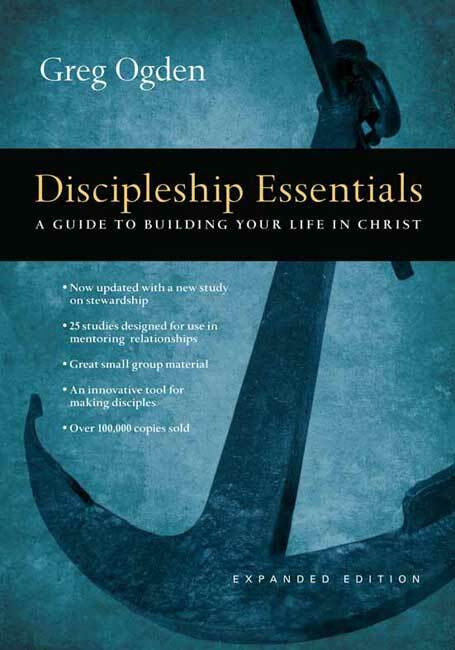 By gathering in twos or threes to study the Bible and encourage one another, we most closely follow Jesus' example with the twelve disciples.This workbook by Greg Ogden is a tool designed to help you follow this pattern Jesus drew for us. Working through it will deepen your knowledge of essential Christian teaching and strengthen your faith.Each week contains the following elements: a core truth presented in a question-answer format a memory verse and accompanying study an field-tested inductive Bible study a reading on the theme for the week questions to draw out key principles in the reading. We meet on Monday nights at 6pm for dinner and small groups to discuss the material for the week. Prayer is an important component of this time together. Jesus had a big enough vision to think small. Focusing on a few did not limit his influence. Rather, it expanded it.Discipleship Essentialsis designed to help us influence others as Jesus did--by investing in a few.